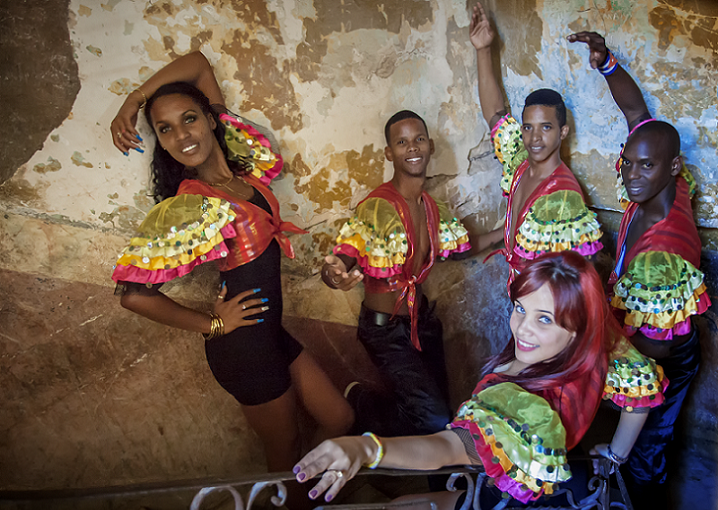 The show is intended to the foreign audience visiting Cuba motivated by Cultural Tourism, specifically those interested on learning Cuban popular dances. As from the combination of the different types of Musical Shows and typical elements in terms of amusement techniques, different scenes are achieved integrating a dynamic and interactive presentation, enhancing the cultural exchange among attendants. The show emphasizes the amusement and entertainment of clients attending. It starts with a free dancing class’s workshop. At every moment, the interaction with the audience is enhanced as from group´s dances, free steps, and rhythm´s practices. The music supports the staging interactive dynamics. This show promotes the merging of Cuban traditional music, contemporary music, and the international trends, thus highlighting a music and dancing contrast. Son, salsa and rumba combine themselves with international popular rhythms such as bachata and kizomba, where poly-rhythmic of smaller percussion instruments, such as claves and chekeré, bring in dynamism and authenticity to staging.